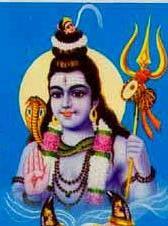 The Puranas are authoritative scriptures of the Hindu dharma. Vyasa, the narrator of the Mahabharata, is traditionally considered the compiler of the Puranas. He is Krishna-Dvaipayana, the son of Parasara. It is believed that there were approximately 64 Puranas consisting of 18 Mahapuranas, 18 primary Upa Puranas and the rest secondary Upa Puranas. The date of the production of the written texts does not define the date of origin of the Puranas. On one hand, they existed in some oral form before being written while at the same time, they have been incrementally modified well into the 16th century. These 18 Canonical Mahapuranas are divided into three groups of six, each named after a deity: Brahma, Vishnu and Shiva. 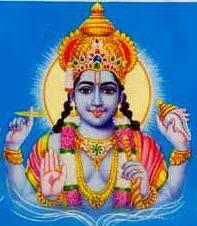 Vaiṣṇava Puranas: Vishnu Purana, Bhagavata Purana, Naradeya Purana, Garuda Purana, , Vamana Purana, Matsya Purana, vayu purana. Brahma Puranas: Brahma Purana, Brahmanda Purana, Brahma Vaivarta Purana, Bhavishya Purana,Agni Purana, Padma Purana.